St Croix in the US Virgin Islands scale 1:101,400 plus general chart of the Virgin Islands scale 1:280,600. 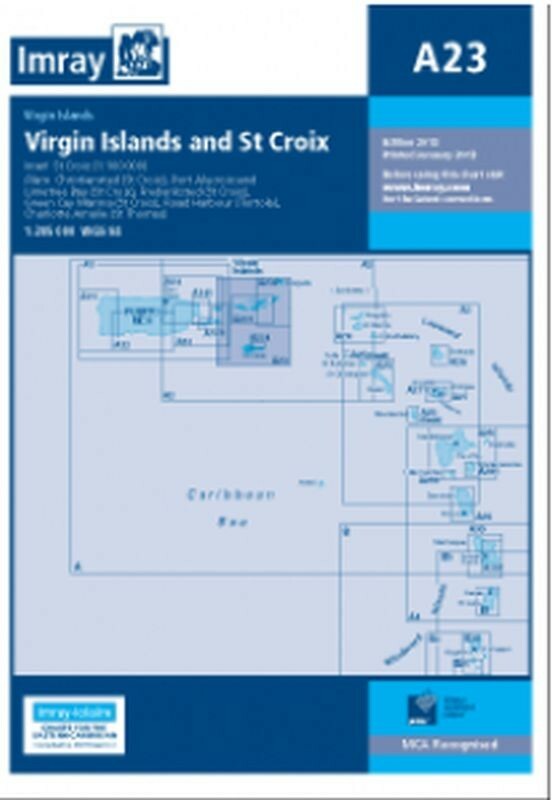 Larger scale plans of Green Cay Marina, Frederiksted, Christiansted, Port Alucroix and Limetree Bay. Flat chart, water-resistant paper.